Persist or cache data and support undo on a single device. 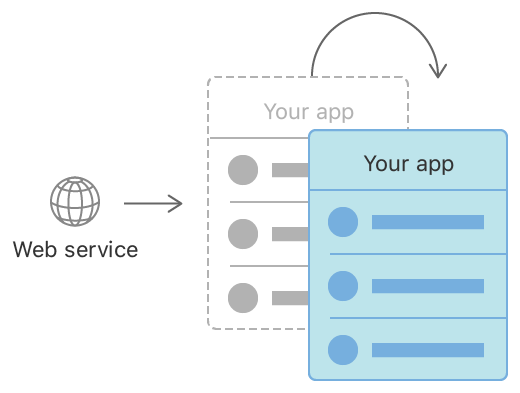 Use Core Data to save your application’s permanent data for offline use, to cache temporary data, and to add undo functionality to your app on a single device. Through Core Data’s Data Model editor, you define your data’s types and relationships, and generate respective class definitions. Core Data can then manage object instances at runtime to provide the following features. Core Data abstracts the details of mapping your objects to a store, making it easy to save data from Swift and Objective-C without administering a database directly. Core Data’s undo manager tracks changes and can roll them back individually, in groups, or all at once, making it easy to add undo and redo support to your app. Perform potentially UI-blocking data tasks, like parsing JSON into objects, in the background. You can then cache or store the results to reduce server roundtrips. Core Data also helps keep your views and data synchronized by providing data sources for table and collection views. Core Data includes mechanisms for versioning your data model and migrating user data as your app evolves. Configure the data model file to contain your app’s object graph. Describe your app’s object structure. Core Data retrieves persisted data to be used by your app. A description of search criteria used to retrieve data from a persistent store. A fetch request that retrieves results asynchronously and supports progress notification. A fetch result object that encompasses the response from an executed asynchronous fetch request. A controller that you use to manage the results of a Core Data fetch request and to display data to the user. 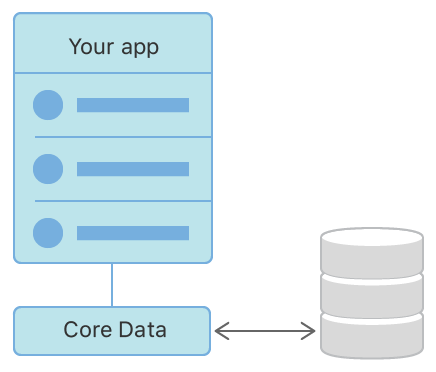 Core Data has built-in data migration tools to help keep your app's data up to date with the current data model. Request lightweight (automatic) migration to update your data model to match changes in your app. Use heavyweight (manual) migration in rare cases when changes to the data model exceed the capabilities of lightweight migration. This document describes the constants defined in the Core Data framework and not described in a document for an individual class.